Probably the most famous Ship in the World. 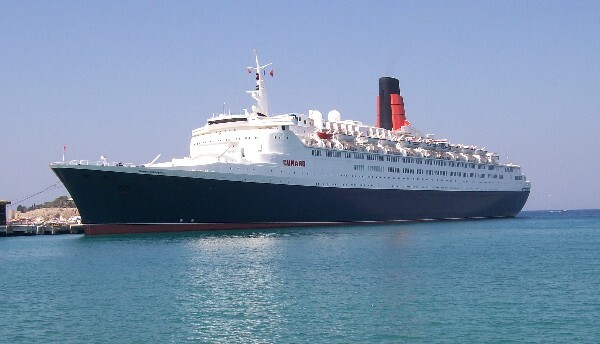 I'm pleased to say that the QE2 is as good as it's supposed to be. The Ship that is. Unfortunately, Cunard is not Cunard as it used to be and, being owned by the same group as P & O, is now a mass production Cruise Liner. One of the passengers on the Cruise we were on (he'd sailed QE2 before) said that it was now like a floating Butlins (perhaps a bit strong, but I know what he means). The service is not as good as Saga, the entertainment and food is no better than Saga and (generally) Saga is of a much higher standard. (and the drinks are cheaper! ).